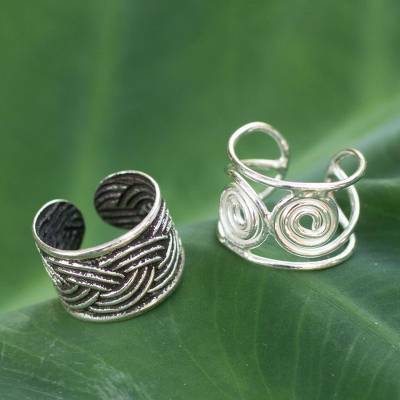 Sterling silver ear cuff earrings (Pair), "Contrasts"
You can find sterling silver ear cuff earrings 'Contrasts' (pair) by Wadarat Supasirisuk in jewelry categories such as Modern Ear Cuffs, Bohemian Ear Cuffs, No Stone Ear Cuffs, Silver Ear Cuffs and Sterling Silver Ear Cuffs. Enjoy exploring these sections for other Novica treasures. I love the beautiful detail of these ear cuffs! The quality and craftsmanship are fabulous!